Cloud computing is booming in the healthcare industry right now. Hospitals and other facilities have seen the benefits that come from adopting the cloud, and advancements in the tech have resulted in way for hospitals to improve their network’s security and efficiency while cutting costs. The information hospitals hold are incredibly personal and important to its employees and patients. You want to make sure that data never falls into the wrong hands, which is why you need a cloud provider that guarantees that it won’t. A cloud provider that gives you this kind of guarantee should have a host of security applications that will back up its promise, as well as testimonials from clients corroborating that they aren’t just whistling in the wind. When working with a competent cloud provider, you’ll only ever need to contact them for network upkeep and minor snags. You won’t run into any major ransomware or cyber security threats because the provider takes the preventative steps necessary to make sure that doesn’t happen. That includes educating you and your employees on how you can help prevent cyber disasters. Protecting the data of a hospital is much different from a law office or a restaurant or a dentist’s office. There are specific legal requirements that must be met in order to be considered compliant. The cloud provider has to meet all regulations, from HIPAA to MACRA. In addition to testimonials, which are always useful, ask some questions to gauge just how experienced a cloud provider is in the healthcare industry, and if they even understand what requirements they have to meet in the first place. What is your knowledge of Electronic Patient Health Information (ePHI) under HIPAA? What policies are designed to protect ePHI in your service? Can you provide email encryption for my practice? Is data encrypted at rest and also while it is being transmitted? What steps do you have in place to recover data in the event of a disaster? Any cloud provider worth their salt can give you detailed and comprehensive answers to all of these questions. While this is not strictly a healthcare-specific concern, ransomware attacks have been steadily rising with hospitals being a major target. What most businesses don’t realize is that anti-virus does not mean anti-ransomware, so while you think you may be protected from these attacks you are actually very susceptible. 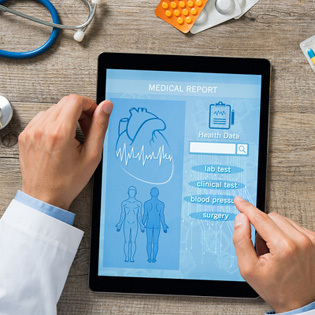 What healthcare facilities need more than ever is a cloud provider that can protect you against the threat of ransomware. Look for a provider that offers Zero-Day Protection, or something similar to it. ZPS is TOSS C3’s certified anti-ransomware and anti-virus that also safeguards you from zero-day attacks, or attacks that happen due to a security flaw in a software that hasn’t been patched yet. For more information on ZPS, and other TOSS C3 products, check out our website or call us anytime at 1-888-884-8677.